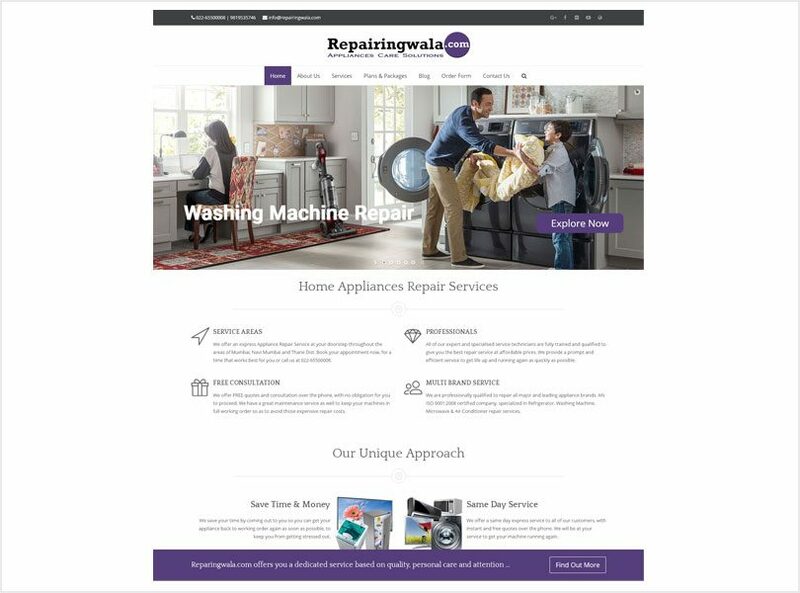 We at repairingwala.com, aims to provide our customers with a complete solution to their appliance problems viz. washing machine repair, air conditioner repair, refrigerator repair, microwave oven repair, television LCD repair and LED repair. We have over 15 years experience of repairing home appliances, and with our experience within the industry we are confident in saying that there isn’t much that we haven’t seen or repaired. When you call us to report a faulty appliance you will be speaking to our friendly office team who have extensive knowledge on handling appliance emergencies. They carry an extensive amount of spare parts which allows them to get your appliance fixed fast and securely, and there is a 3 months warranty on all repairs that we complete.